Whether you came to Billerica to have a picnic in the Vietnam Veterans Park and pay your respects or you came to visit the Billerica State Forest and view wildlife, you do not have time for tooth pain to interrupt. Fortunately, if you do experience any type of tooth or jaw pain, there are many dental providers right to help you in the area. 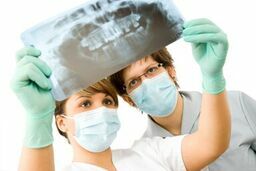 The team at emergencydentistsusa.com wants you to know that we are prepared and ready to help you. We have created a comprehensive list of dentists and specialists available in Billerica. You can quickly browse the list and identify the provider you need in a couple of minutes. If you are in a rush and you do not have time to look at the list, let us know by calling our toll-free dentist finder hotline. We will provide you with the help you need to locate a dentist. Our team members are trained to listen to your needs and help you determine the best dentist. Whether you need a general dentist or orthodontist, we can help. When you call us, we will find the right provider and schedule an appointment for you based on your availability. We do recommend that you arrive to your appointment about 15 minutes early and that you have your ID, copayment, and insurance card ready. If you do happen to experience tooth pain while in a new city, it can be scary, especially when you do not know where to turn. Fortunately, Billerica, MA is filled with dental providers who are ready to meet your needs. You can choose from general to family dentists, periodontists, oral surgeons, cosmetic specialists, pediatric dentists, and more. Typically, you will visit a general dentist first and if that dentist cannot provide you with the procedure you need, you will be referred to a specialist. Description: Grateful Dentists is proud to welcome you to our office in Billerica. We have worked hard to be able to bring you the best in dental care from CEREC crowns to dentures, and even dental implants. We care about your teeth and we want you to be proud of your smile. Description: At Matthew Healey, DMD, PC, we place your smile above all else and we want you to be able to enjoy a happy and healthy smile for a lifetime. We offer a wide range of services from general services to 6-month braces, and more. We also try to make dental care as affordable as possible and you will find that we accept most insurance plans and offer a savings plan for those patients who do not have insurance. Description: Evergreen Dental is prepared to provide quality dental care to your entire family. We see patients in our office daily and we work closely with you to address your dental needs. We offer emergency services as well as dentures, fillings, root canal therapy, and more. Any type of tooth pain that arises can be mild to quite severe in nature. Depending on the dental emergency you have, the situation can be intense and you may need to be seen right away. Fortunately, there are many options for providers in Billerica. If you have been in pain from a toothache for more than two hours, you should seek out emergency dental care. If you have tooth or jaw pain as a result of an accident, you should visit the local ER first to ensure that you do not have any serious injuries. Before you visit any new dentist, you should make sure that their licenses and certifications are active. To do this, visit the Massachusetts Dental Association and perform a search of the dentist’s name.